Originally launched in 2012 as a promotional outlet, the Belgian imprint duploc.com has continued to strengthen their mission to unearth new talent and genre-defying music by evolving into an equally trailblazing record label, DUPLOC. Over the last five years, duploc.com has stood as a leading tastemaker within the dubstep scene by focusing its attention on the unconventional, uncommon and multifaceted aspects of the genre’s many sounds; characteristics that they have now translated to releases of their own. While being acknowledged for its iconic, digital two-track releases, DUPLOC more recently launched their vinyl series,keeping their focus on pushing forward-thinking sound system cuts through the additional medium of physical releases. DUPLOC returns to Bristol for the newest addition to their vinyl series with Rygby’s four-track EP, DUPLOCv003. 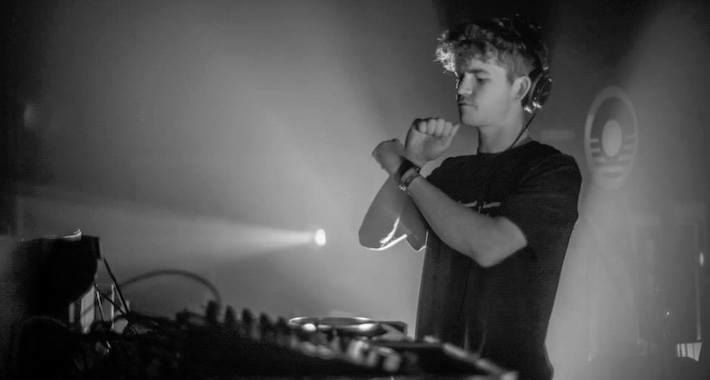 Back in 2016, Rygby was signed to DUPLOC for his very first official release, showcasing his interest in spooky and distorted low frequencies. His most recent appearance on the label was through the digital release of DUPLOC022, through which the producer boasted his highly developed, unique sound. Now, Rygby proudly contributes to the label’s brand new DUPPLATES series with an impressive, cohesive collection of his most thoughtful material to date. DUPLOCv003 is all about driving melodies, intense vibes, and heavyweight sub bass pressure—grab your copy here.